Full body strength sessions makes me feel like I have body tingles, and not in a good way. My entire body feels like a Jello giggler and yet, that’s the very reason I’m lifting weights…to avoid jiggle. Oh, the irony (and torture)! But I am sticking with the program. Lily and I also played keep-a-way in the backyard when I got home from work last night. That is, until, she started cheating by cutting through the bushes and then I stood no chance of catching her 😉 The Garmin clocked the activities in at 0.85 miles. My co-workers loved the Pumpkin Pie Bars and Pumpkin Cupcakes with Nutella and Cream Cheese Frosting (which were featured on FoodGawker, woo!). Mmmm mmm mmmm! But on to something a bit healthier, shall we? Last week I enjoyed pumpkin cream cheese on bagel thins, but I was ready to go back to my carb-o-licious comfort breakfast food. 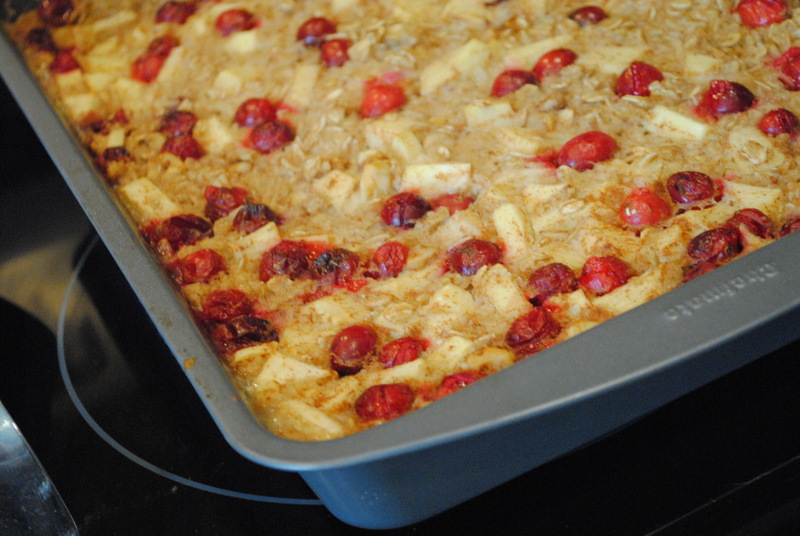 And what better way to do that than in the form of oats, cranberries, and apples? Amen. Preheat oven to 350° F.
Mix oats, baking powder, salt, and cinnamon in a bowl. Set aside. In a large bowl, mix together applesauce, milk, egg, vanilla, and agave. Combine wet and dry and fold in apples, cranberries, and nuts. Pour oatmeal mixture into a greased 9×13 baking dish and bake for 45 minutes. Note: Dish can be ahead ahead of time and stored in the refrigerator overnight before baking in the morning. Yield: 8 generous helpings. Result: This was WONDERFUL! I love the fresh fruit and subtle sweetness. The consistency is a bit closer to oatmeal than a baked good, which I really liked for a change. I have been enjoying this for breakfast as something I can nuke in the microwave and eat at my desk in the mornings. 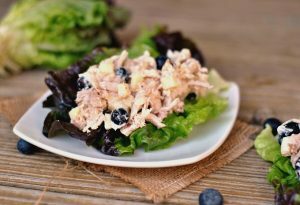 I love the balance between fat and protein, and while it is higher in carbohydrate, it is also very high in fiber making it an appropriate way to “spend” carbohydrates 😉 Enjoy! Question: What do you do when you need an extra boost to get through the day, or know you’re in for a long night? Have you ever used an “energy” product like 5-Hour Energy? Should I be nervous? « Halloween may be over, but pumpkin is not! Wow this baked oatmeal is like jewelries in a bowl. I would start something like this to get me through the long day for sure. It sounds nutritious and delicious. I love baked oatmeal!!! 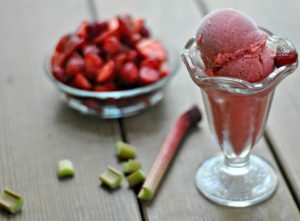 I can’t wait to try this with cranberries! That breakfast looks a-m-a-z-i-n-g!! Good luck w/ the 5hr thing. I’ve never taken anything of that sort and am not much on caffine either. I use to drink a full can of Mt. Dew while reading in bed at night, then roll over and go to sleep. If I’m super tired, I usually take a cat nap – 20 mins can do wonders. When it’s a deadline or something though, my adrenaline alone keeps me going and I crash later. I love those shoes (so cute! ), though I can imagine they’d kill! I’ve never tried 5 hour energy before. I usually don’t need a caffeine pick-me-up in the AM. I find cold water wakes me up quite well. Usually if I need an extra energy boost I will get up and do some type of jumping jacks or go for a walk. Gets my blood pumping again! That oatmeal looks great. I am so making this. I am not a big caffeine person, so in the morning, I will have the juice out of an orange which really gets me going. As far as 5 hour energy, never tried it, but I know alot people do like it. Can’t wait for Mr. Preventions post. I’ve never tried 5 Hour Energy, but I used to have a gross dependence to red bull and I don’t even think it really helps…. Putting this on my list of things to make after my first two weeks of South Beach! I told you my step-son loves those 5 hour energy shots – I had a sip of one once and it reminded me of cough syrup! Good luck with that Nicole! Way to keep up with strength training girl! I have never taken a 5 hour energy but i do know some people who swear by it. I stick with my cup of coffee in the morning for my caffeine boost. That breakfast looks delish! I need to change up my breakfasts so I will have to remember this recipe! That breakfast looks absolutely amazing!!! I will definitely be making that soon! YUMMY breakfast!! Nope, never tried any of those energy drinks…don’t think I ever want to. I do enjoy one cup of coffee in the afternoon…but exercise in the morning and a good night’s sleep is usually all I need to help ward of the sleepies! I’m not an energy drink person, but I do like a good cup of coffee! At work, the coffee is awful though, so I climb the stairs to the top floor (the 8th) and back down to my office on the 1st floor when I need a pick me up. What a pretty version of baked oatmeal! Breakfast really is the most important meal – I find my brain just doesn’t work well without it. It's confusing trying to be healthy! Let me be your guide to a practical, straight-forward, and maintainable approach to a healthy lifestyle. I promise, you may even come to like it! Subscribe and get your FREE eBook!